Jake & Amir, originally uploaded by Bill Cammack. 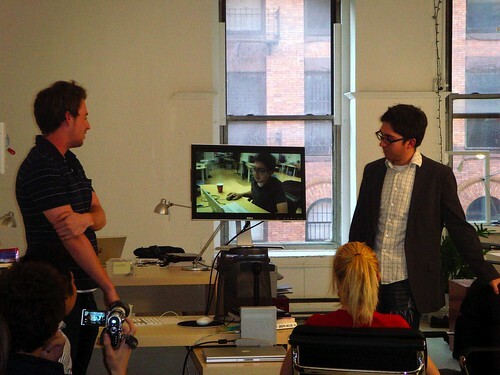 Jake Hurwitz & Amir Blumenfeld present at the NYC Videoblogger Meetup. Sarah Meyers & Mike Ronen observe. May 13, 2008 @ Rocketboom Studios.